I was lucky to get a early version of the Blue Blanket repro waist overalls made after an original waistband piece from the Harris collection. 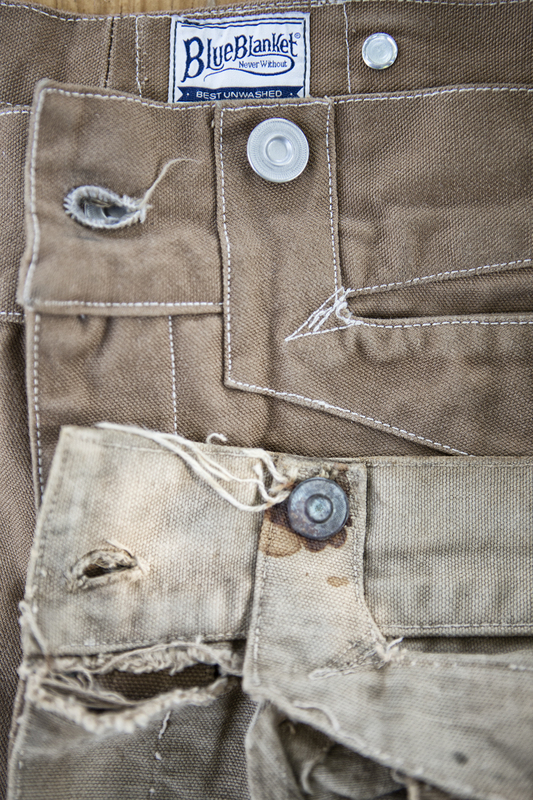 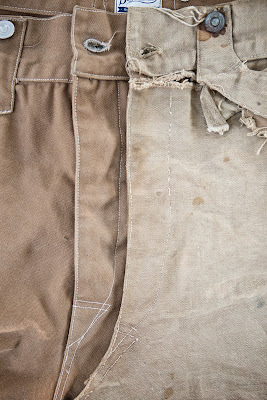 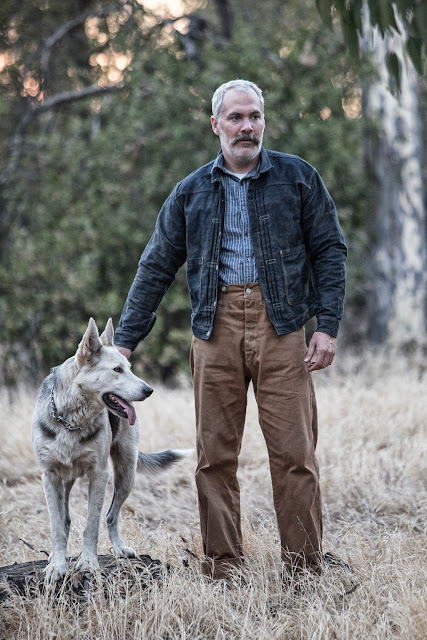 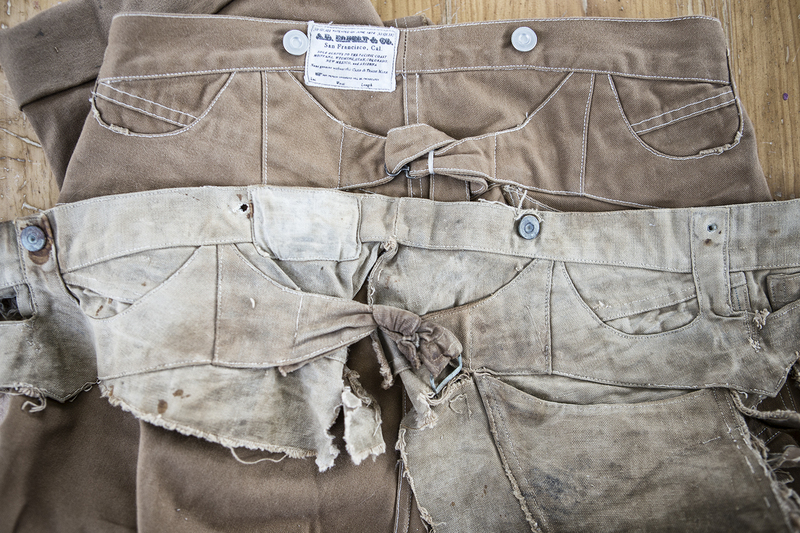 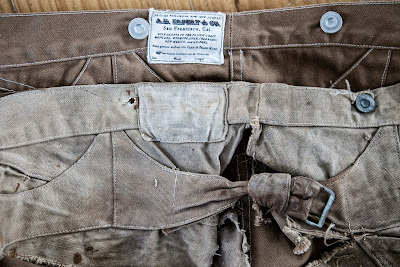 The waist overalls are Blue Blanket's rendition of the 1880's S.R Krouse patent assigned to A.B. 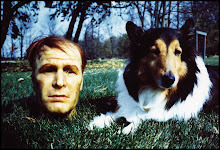 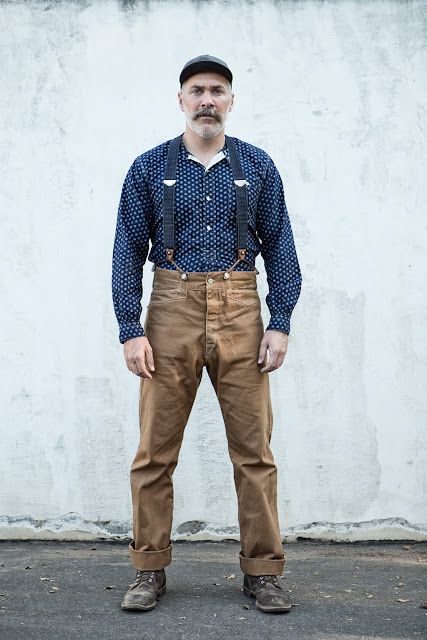 Efelt. 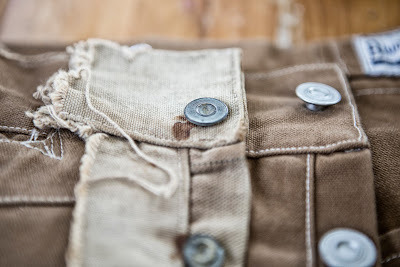 They even took the time to do hand stitched buttonholes. Antonio Di Battista and crew did an unbelievable job on these. 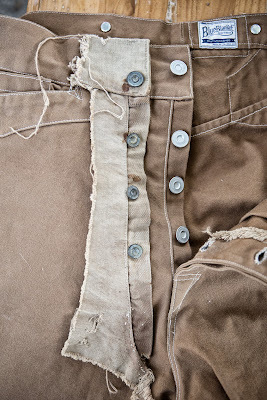 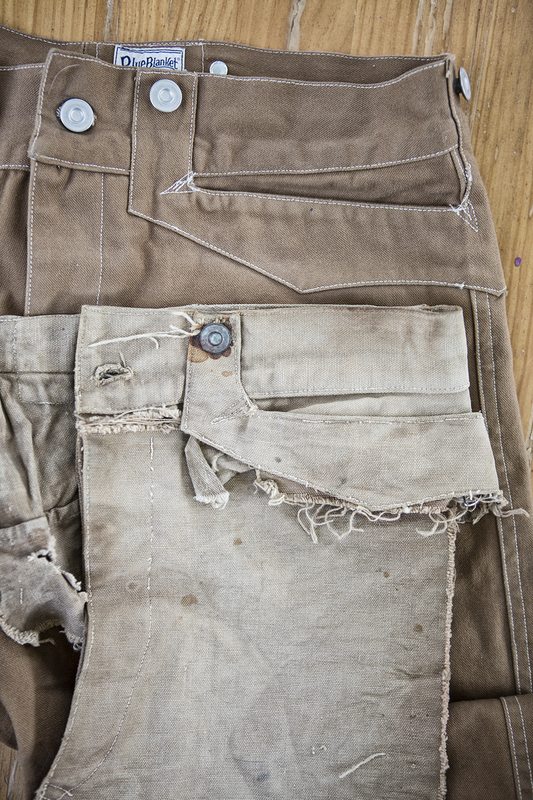 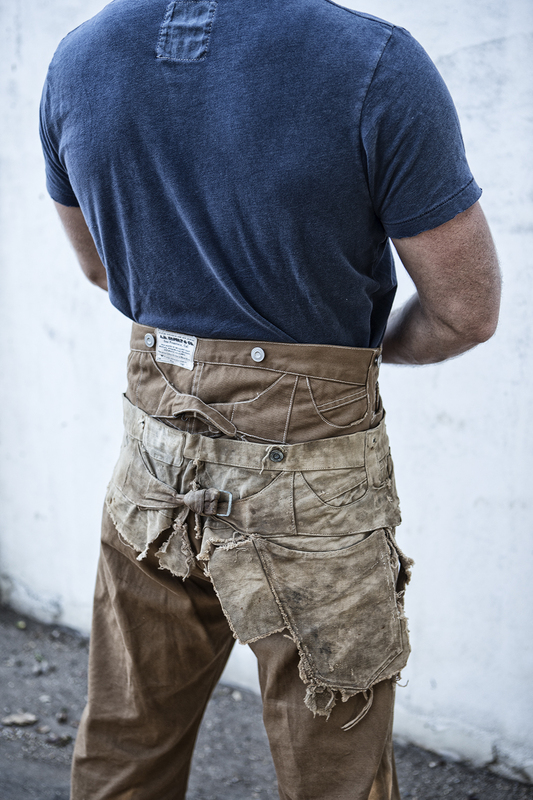 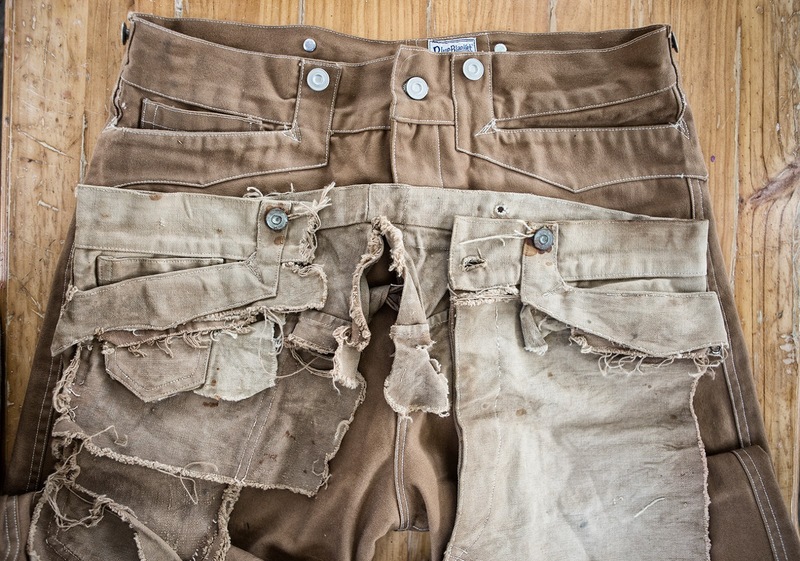 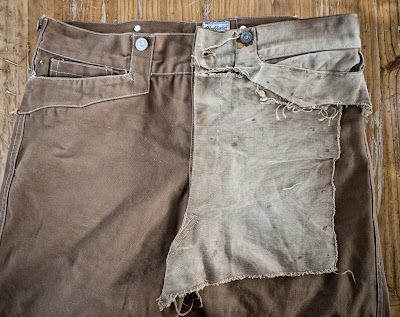 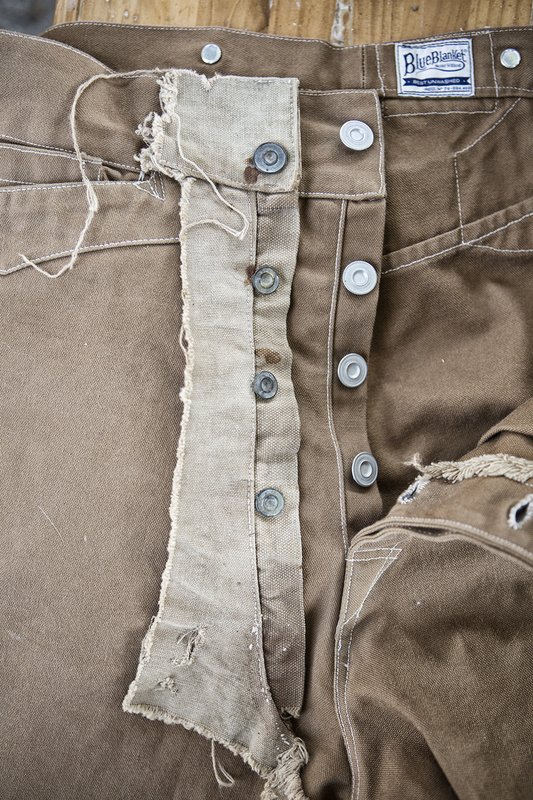 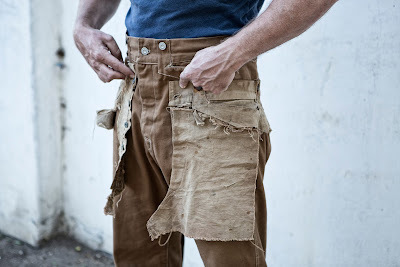 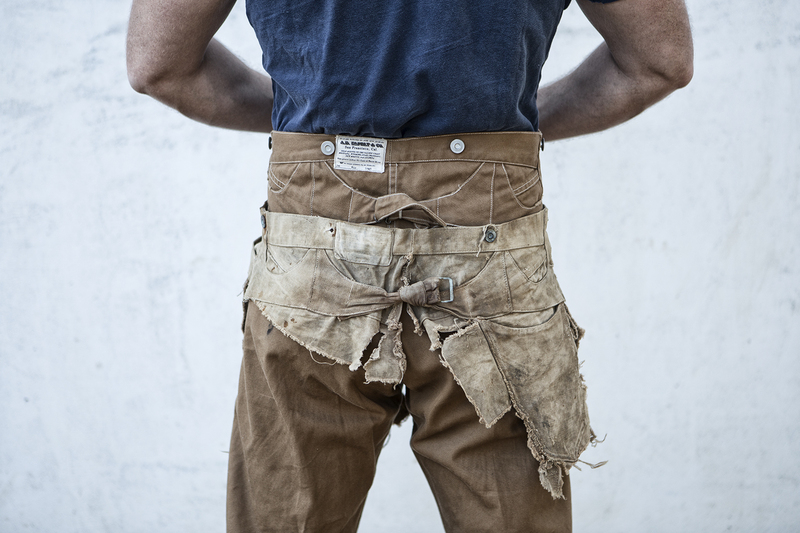 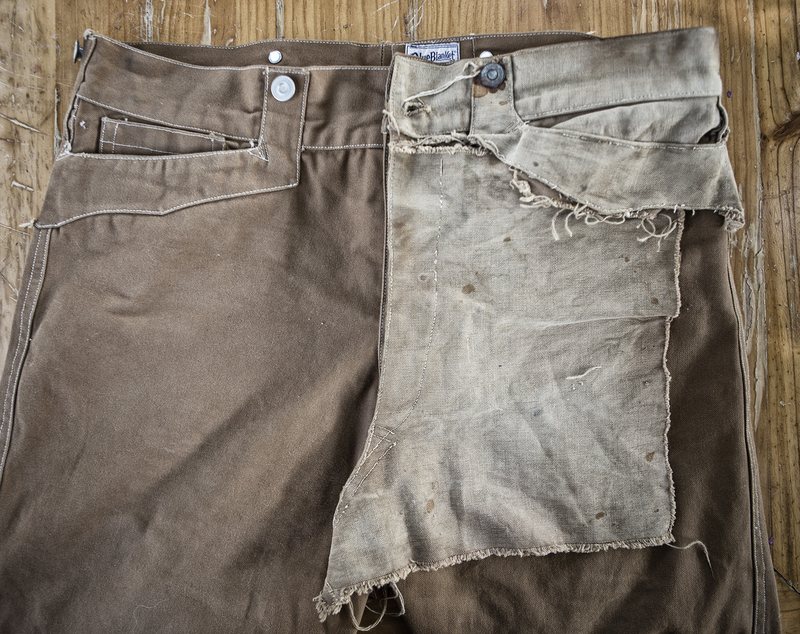 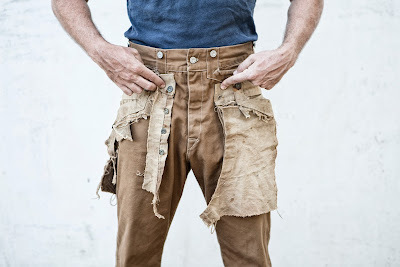 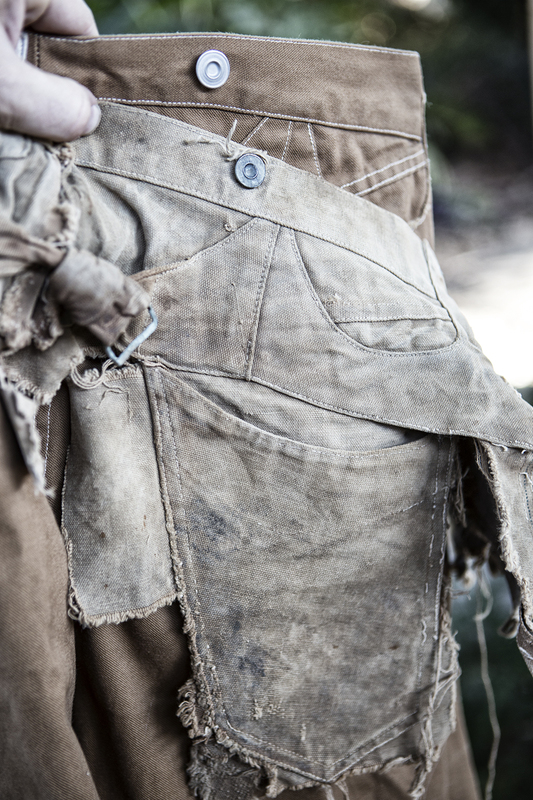 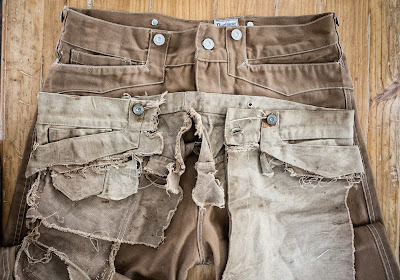 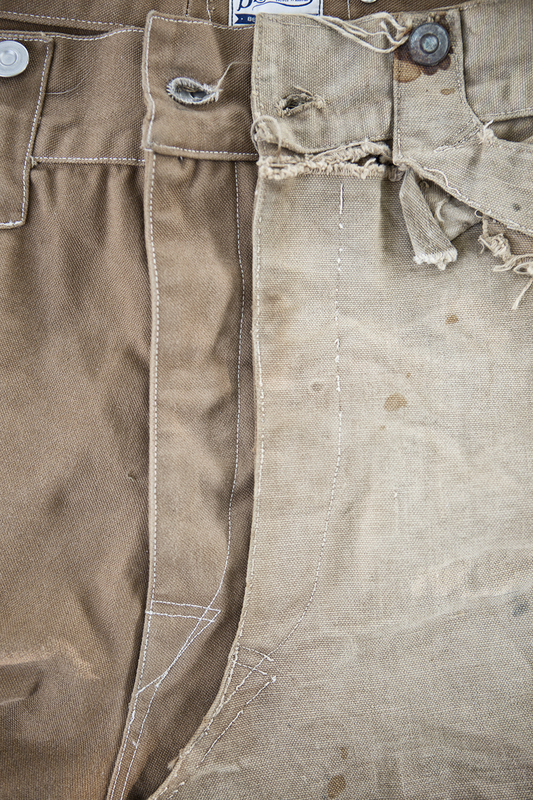 Pick up a pair in the next few months for a true repro of a one of a kind pair of 1880's waist overalls. 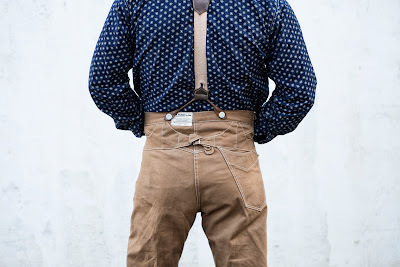 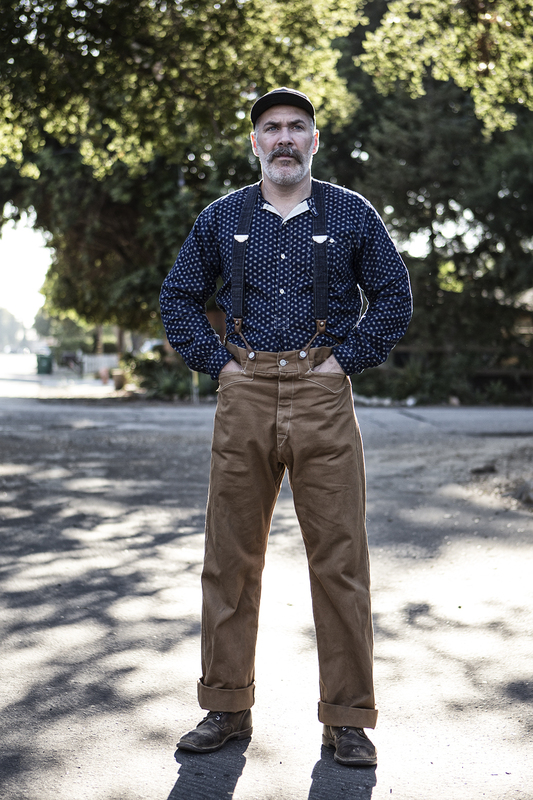 Thanks to Charla Harris and Farhad Samari for taking some photos of me modeling the pants. 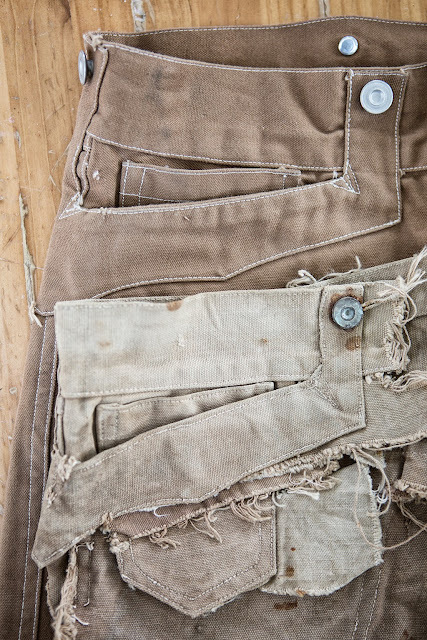 Click here to visit Blue Blanket Jeans webpage and check out their other great pieces! 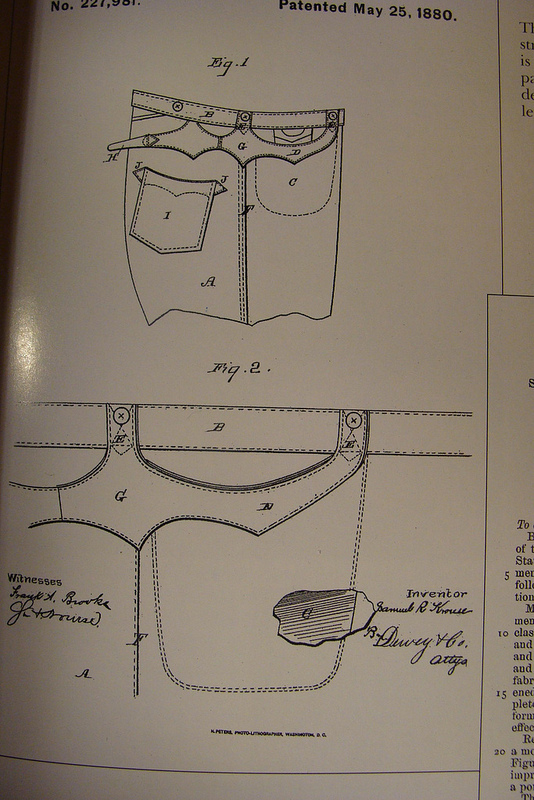 Original Patent Diagram from Mike Harris's book "Jeans of the Old West"